should apply a logo with outline. placed according to the rules explained here. 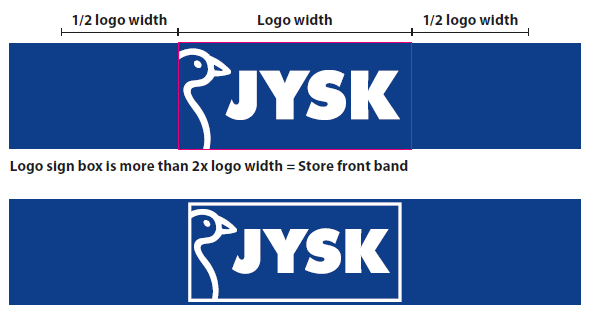 Since the above example should be treated as a Store front band a logo with an outline should be used.